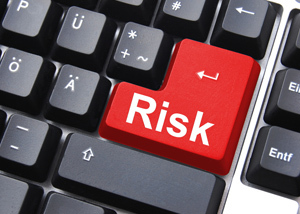 Operational risk covers a wide range of business functions, including those that relate to individual employee risks. Business model redundancy, business interruption, IT security, financial and regulatory compliance are now considered top business risks alongside broader economic and environmental issues. Organisations often require outside strategic reviews in order to secure a more objective view of those risks that are potentially the most challenging to their continuity. Based largely on enterprise risk management (ERM), traditional risk management has been strongly criticised since the collapse of the capital markets in 2008. As a result, a new approach towards risk management that balances the probabilistic approach with the more subjective, Bayesian risk approach is becoming more recognised. CICM can provide advice and guidance on macro-risks and the most effective ways to treat the risk — mitigating hazard and reputational risks. The CICM team has considerable operational exposure to business risks, in particular, assessment in volatile regions and threats to core business functions. CICM is skilled in highlighting and explaining to clients (who may not have previously considered such threats) some of the more diffuse and clandestine emerging threats, including corporate espionage, data and intellectual capital theft. Risks to individuals are also significantly increasing, with economic and politically-motivated kidnappings becoming a serious issue globally. CICM has one of the most operationally experienced teams, which can offer advice and training in the prevention of kidnap and critical business security.